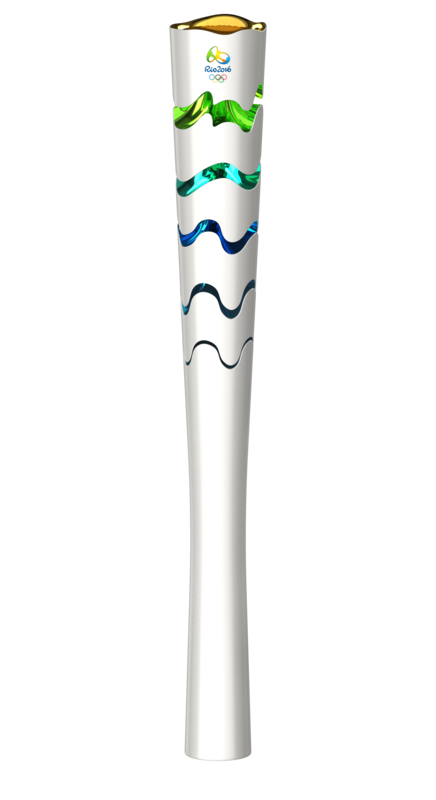 Movement, innovation and Brazilian flavour is the inspiration behind the design of the Rio 2016 Olympic torch, which was unveiled on 3 July 2015. Its design aims to reflect the meeting of the Olympic flame with the human warmth of the Brazilian people. The torch relay convoy is expected to visit 500 Brazilian cities and towns – about 300 of which will host the relay itself while a further 200 will cheer the convoy as it passes by with the flame on display. 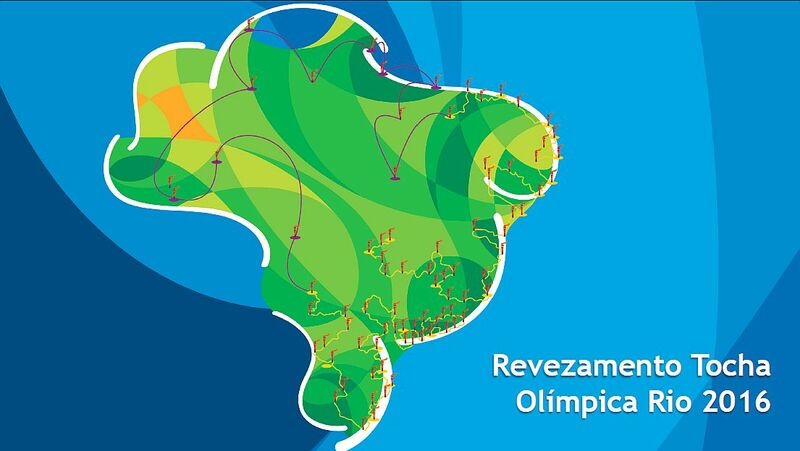 They include the capitals of all 26 Brazilian states and Brasília. The route has been designed to reach the highest number of people as possible, and Rio 2016 estimates that the torch relay will reach 90 per cent of the Brazilian population. The journey will begin in May 2016 and will last between 90 and 100 days. There will be about 12,000 torchbearers, each one carrying their torch about 200 meters, then passing the flame – which will have been lit in Greece – on to the next. The torch will travel 20,000 km by road and another 10,000 miles by air over the North and Midwest parts of the country, between the cities of Teresina and Campo Grande, without the flame ever going out. 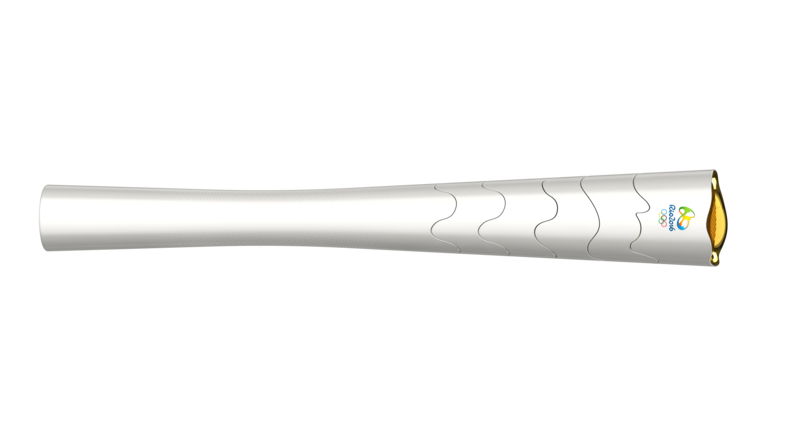 The torch’s texture has triangles running the length of its body, alluding to the Olympic values of excellence, friendship and respect, and the floating effect of its different segments refers to the efforts of the athletes. One of its main innovations is the movement of these segments, which open up and expand vertically when the Olympic flame is passed from one torchbearer to another. This is known as “the kiss of the torches”. Upon expanding, the segments reveal the elements that add the Brazilian flavour – diversity, energy and nature – represented by the sea, mountains, sky and sun, and the colours of the Brazilian flag. Crafted from recycled aluminium and resin with a satin finish, the torch weighs between 1kg and 1.5kg and stands 63.5cm high when closed and 69cm when opened. The torch relay will start in Brasília and has a definite finish date: 5 August 2016, the day of the Rio 2016 Olympic Games opening ceremony at the Maracanã Stadium in Rio. This entry was posted in Brazil, Olympics 2016, Rio de Janeiro, São Paulo and tagged 2016, Brazil, Olympics, Rio de Janeiro by Critical Divide. Bookmark the permalink.